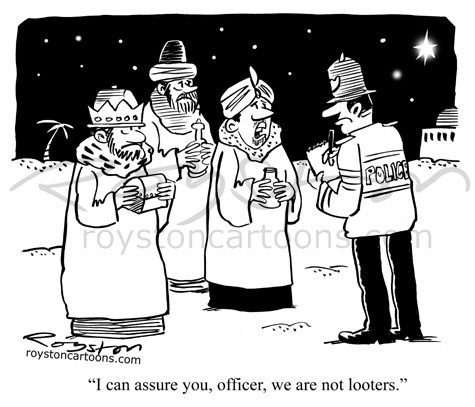 "I can assure you, officer, we are not looters." This is one from last Christmas, when the memory of the riots across England was still fresh in the memory. I like the fact that the wise man on the left does look quite guilty.